Student and interaction designer Charles Aweida used a foam board, a robot and lots of nails to build a physical visualization of a wind simulation. Charles Aweida (2013) An exploration in art + robotics representing wind through digital fabrication and the tangible. 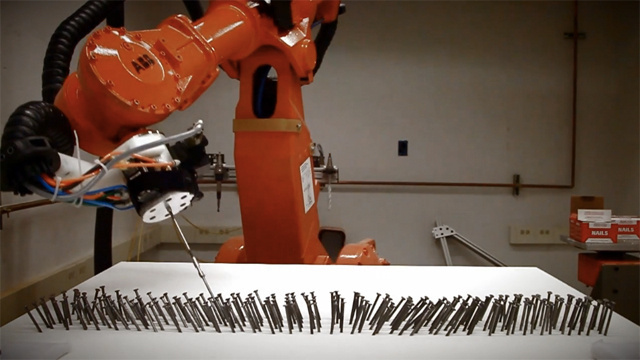 Via The Creator Project (2013) Data Sculpture Of The Wind Created Using A Robot And Lots Of Nails.